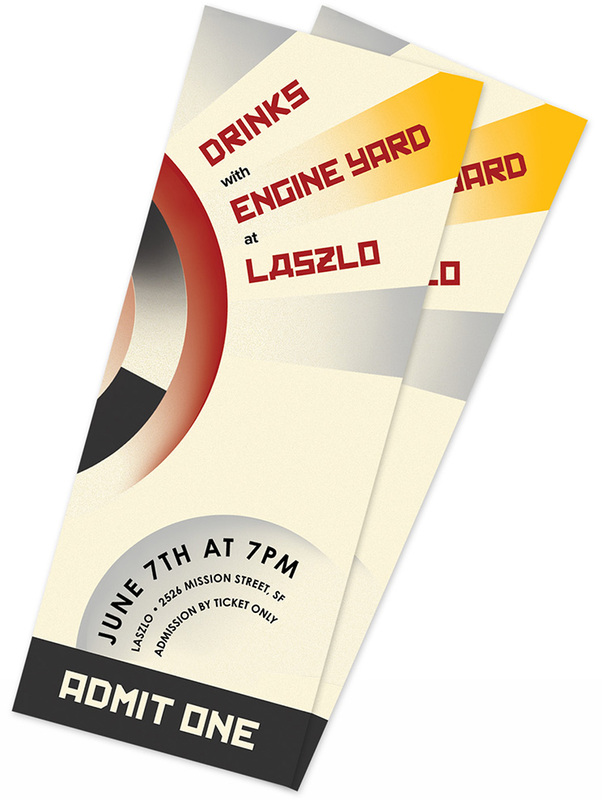 Poster and ticket for a company-sponsored event. 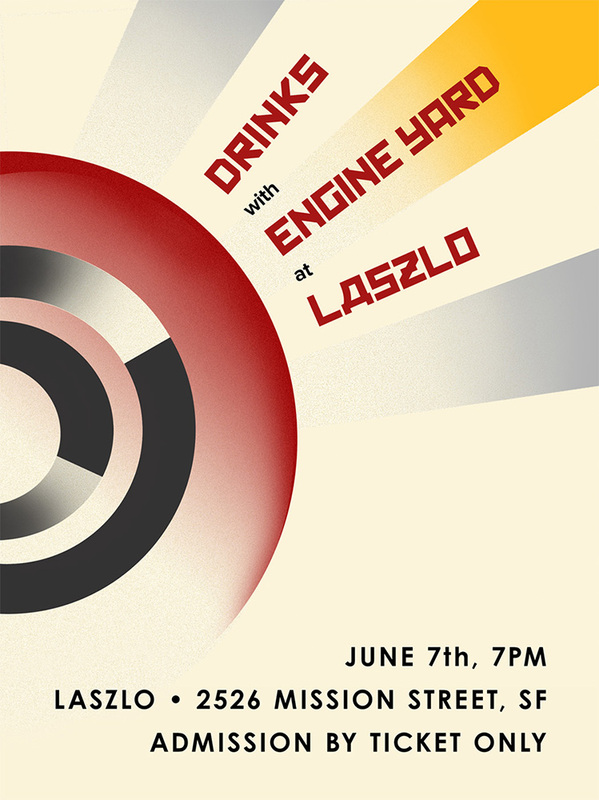 The venue was Laszlo, a constructivist-themed bar operated by Foreign Cinema in San Francisco. To reflect the theme, the collateral was designed in the early 20th-century Futurist style. Tickets were printed and distributed in hard-copy.